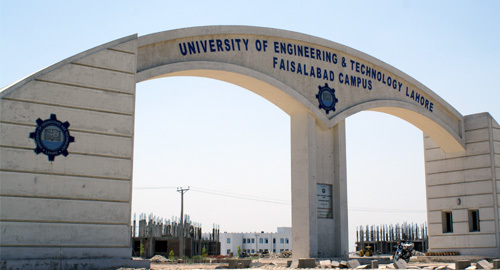 Faisalabad, University of Engineering and Technology Faisalabad has announced the admission process for undergraduate programs. The candidates, who want to get admission in the disciplines like BS in Chemical engineering, electrical engineering, mechanical engineering and textile engineering. The candidates can check their eligibility criteria and they can send their admission forms till 22 September 2017 so that they can get admission and carry on their study. 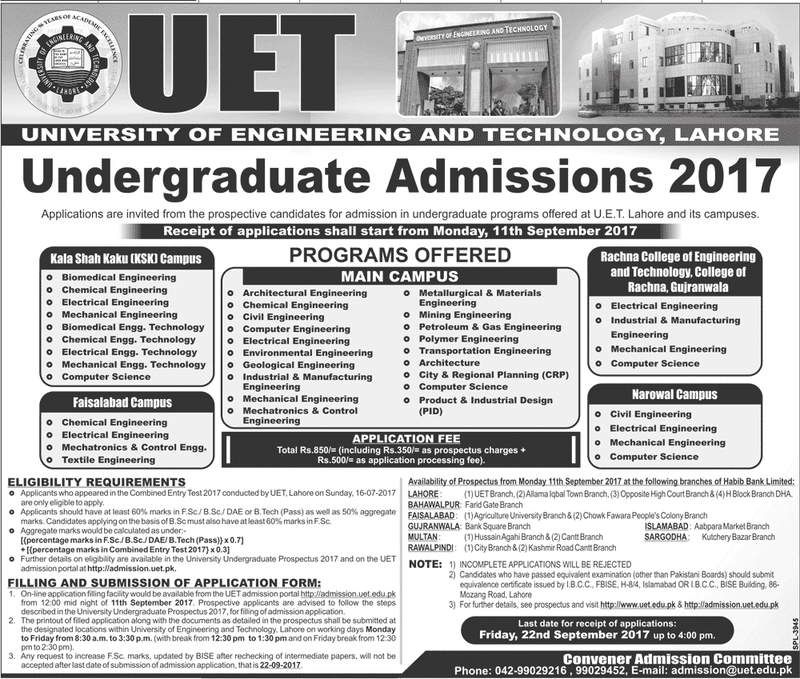 The candidates can download the admission forms from the website of the university and fill it completely and get the print out of the filled admission forms. Then they can attach the required documents with the admission forms and they will have to pay the admission fee.